Given that it's the end of a busy week (and a football Saturday), I'm going to keep it light and post a fun but informative video. This is a clear cut case for why voting Republican (or being an apathetic non-voting Democrat) is bad. PS, now that you remember why you love the Democratic party, come support the College Democrats by getting food from our concession stand outside Lafortune. Or just come because I'll be working there, and you know I'm awesome. Whatever floats your boat. Best way to celebrate the weekend: catch up on some ridiculous political ads. Check out this one by Florida Republican Dan Fanelli. Is he endorsing racial profiling or did he just really miss the mark with this one? I'd like to think I'm just not getting the joke, because if this is serious it is all kinds of wrong. I’ve had my head buried in books lately; an unfortunate side-effect of living and learning here at ND. That means as far as Progressive Day goes my story ends with a blue shirt, bits of speeches, and some really good free pizza. However, sometime in the past few hours, I slowly emerged from my cocoon of academia and stumbled onto this very website. As I read through the posts in an attempt to regain some semblance of knowledge of the outside world, I was struck by a post from our own Chris Rhodenbaugh. The post was in response to a viewpoint article composed by the ND College Republicans (Why we wore red for Progressive Day). I then read both the article and the post, but what really intrigued me were the comments on Chris’ post. The comments continued the debate about how progressivism relates to political parties. The question that most interested me most among those raised was “what's really the difference between the average committed liberal and the average committed conservative?”I’m no expert, but I’d like to offer my opinion: The real difference is in how they get things done. I’d like to start with an example. I’m too inexperienced to comment on party relations here at Notre Dame, but back in high school I was a member of the Young Democrats club and friends with a prominent member of the Young Republicans club. This friend, Dan, was different than the majority of his club’s members in that he was a “committed conservative”; His conservatism was based on research and genuine political beliefs, rather than simply what his parents thought. He put a lot of thought into his politics and was one of the smarter students in our senior class (Consequently, he was harder to debate against than some Young Republicans). Dan and I would talk after every debate between our clubs, and, though we disagreed, we could always find some common ground. Generally, we differed on how to approach issues like the economy, healthcare, etc. and we agreed on the end results. For example, everyone would like to see a full economic recovery. Republicans want to go about this through private and corporate enterprise; whereas Democrats would prefer if the government took a lead in the recovery (this example is very simplified). Republicans believe that private interests will help the economy in the most efficient way, and Democrats believe government involvement is the only way to ensure the recovery benefits all Americans. Similarly, a Republican who opposes abortion believes the practice negatively affects the American people, as does a Democrat who opposes capital punishment. We all want the best for America, but that doesn’t mean we agree about what laws and policies are necessary. I definitely prefer the Democratic Party’s approach to political issues; in my opinion their ideals show more empathy and tolerance (heart) and help Americans more effectively. I can, however, at least respect a commitment to conservatism because I believe that Republicans intend to help the American people, even if they approach it the wrong way. In closing, I am not surprised that the College Republicans claimed to support progressivism. I doubt a republican would say that things like “Social Justice and environmental harmony, an equal and sustainable society, based on tolerance and respect for human dignity that demands access to the American dream for all” are bad. However, the Republican method of governance and politics is much less conducive to these progressive ideals than the Democratic method. I don’t think a Republican would be betraying his or her party as a progressive, but I do think that he or she would have a hard time working for these ideals within the framework of Republican methods of legislation and governance. I believe this is what Chris was getting at: Republicans believe these are good things to pursue, but do nothing to pursue them. The difference between Democrats and Republicans is in how they get things done, and Progressivism is something that Democrats get done. Tyler Clementi was 18, a freshman at Rutgers. Billy Lucas, from Indiana, was 15. Asher Brown was just 13. So was Seth Walsh. Within the last two weeks all four of these boys killed themselves. In all four instances the causes seem to point towards bullying because they were gay. From middle schools to universities, young people are killing themselves because they don’t fit in. While progressives across this country wage a battle for basic civil rights; marriage, equal military service, adoption, etc, kids across this country are waging personal battles. They’re trying to make it through the day. Make it through another day where they’re the outsiders. Growing up isn’t easy, but growing up gay is even harder. However there is some hope. 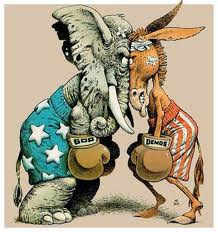 Today at Indiana University there was a debate between the College Democrats and the College Republicans. During this debate the topic of Don’t Ask, Don’t Tell was brought up. One Republican began to give his party’s platform on the issue. He basically said, it’s not that bad, wait for the defense report to come back to congress, we shouldn’t do this at a time of war. Being there I can say as enthused as this member was to talk about repealing health care, he wasn’t very enthused about defending DADT. After a passionate response from the Democrats side, the Republican member said something like this, “I personally don’t agree with this policy, while my party wants the status quo, I think it should be repealed.” I couldn’t believe it. I was confused, but happy. His Republican friends look equally confused, mostly staring into space. It gave me a glimmer of hope. In another instance last week, Saxby Chambliss (R, GA), fired a staffer who wrote “all faggots must die” in the comment section of a blog. Chambliss even went as far to call the blogger to apologize. However Chambliss supports the DADT policy. While these glimmers of decency and responsibility in the GOP give me hope that LGBT rights will soon become a civil rights issue that both parties support, it raises a moral question. 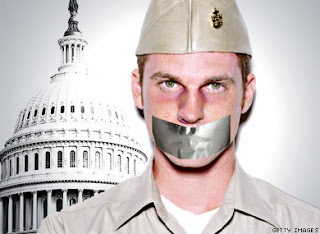 Chambliss may have apologized for the bigoted comment, however he supports DADT. 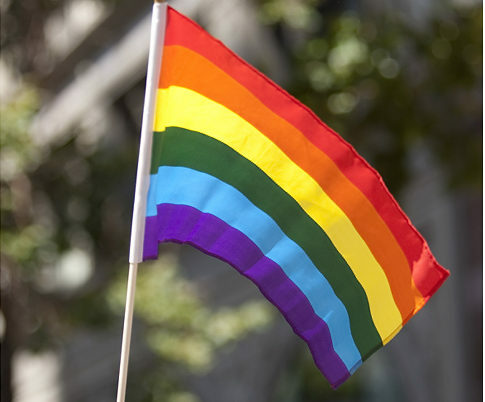 Policies such as DADT encourage hiding and being shameful about one’s sexual orientation. If you ask me there is a direct correlation between the fact that our government treats sexuality as something which is tolerated but not accepted, and the absurdly high suicide rate amongst gay teens. This could be blamed on the media or religion, but the fact of the matter is that government inaction on this civil rights issue is the root of the homophobic poison that is pervasive in our country. Because it’s acceptable for the government to turn a blind eye to homosexuality, it must be ok for police to turn a blind eye to gay beating or a teacher ignoring the pleas of a bullied teen. I appreciate Chambliss’ apology, but the fact of the matter is that the society created by legislation such as DADT is what’s leading to people saying things like “all faggots must die.” If he was truly sorry that his staffer had posted a discriminatory comment, wouldn’t he be sorry about discriminatory policies such as DADT? Our society as a whole is at a turning point. We cannot allow kids to keep killing themselves because they are being bullied for something that they can’t even help. Some claim parents need to do more, teachers need to do more, churches need to do more, the media needs to watch how it uses terms such as ‘gay’. While all these are true, especially keeping kids from bullying other kids, the fact is that government intervention is effective at changing our society for the better (i.e. Civil Rights Act of 1964). Passing legislation to end discrimination amongst adults will almost inevitably lead to less discrimination amongst kids, and we have to do what we can to stop these tragic suicides. This year the Senate failed to pass a bill looking to cap carbon dioxide emissions and establish standards for renewable power, and Obama, in a recent Rolling Stones interview (which you can and should read HERE, it’s a great article), blamed this on the Senate’s stalemate over the economic crisis, but he promises 2011 will be different. Let’s hope so, but it will be a tough battle. It’s almost undeniable that midterm elections will bring more Republicans into Washington, and they’re already plotting against environmental activism. Wisconsin Rep. Jim Sensenbrenner has promised to investigate the “questionable” science behind global warming, and California Rep. Darrell Issa told POLITICO recently that he plans to conduct an investigation into “Climategate” emails that he believes show collusion among top scientists to fabricate evidence of global warming. 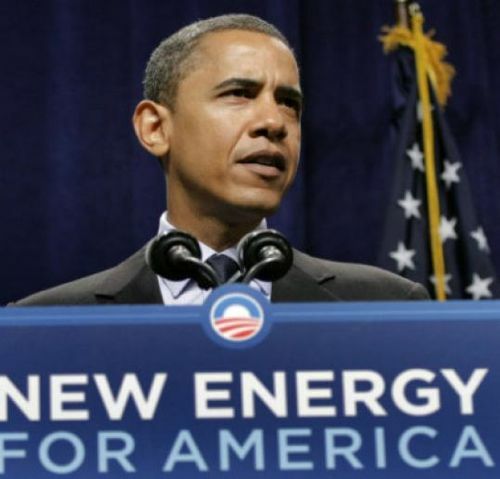 After the midterm elections President Obama has a tough road ahead of him to push comprehensive reform on climate regulation, but it is imperative that he does so for two reasons. First: our country and our world need it. I don’t want to bore my lovely readers with the science, but we are burning holes in the ozone and destroying our natural resources. We need reform. Second: Obama needs the reform. 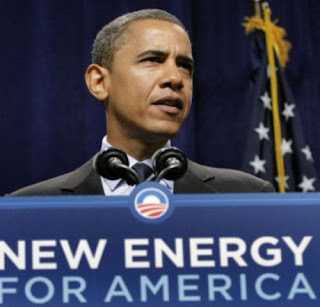 Environmentalists are openly critical of Obama’s lackluster green agenda, and some members of the Green Party are already looking for an alternate candidate for 2012. As much as I hate to say it, President Obama is disappointing people. He needs a successful energy bill to regain credibility and support among his constituents. Let’s ALL get out and vote in November so the country continues with forward progress, and so government funds aren’t wasted on investigating the Issa's blatant red herring. Send away for your absentee ballots or register now, because this earth is too precious to destroy. Here is my third column of the year for the Observer (published on Friday). Be sure and share it or retweet it! We must get the word out about the needs of farm workers!! On Friday, Stephen Colbert, comedian and host of Comedy Central's "The Colbert Report" appeared before the House Judiciary Subcommittee on Immigration to give his testimony on being a farm worker for a day. Colbert, who attended the hearing in character, has been criticized by Republicans and some Democrats for wasting the time and money of U.S. taxpayers. This assertion rings hollow because a hearing on an issue Americans love to ignore, farm workers' rights and well being, became the news story of the day. Colbert participated in the United Farm Workers of America (UFW) "take our jobs" challenge, taking a farm worker's job for a day to experience the work that Americans have proved they are unwilling to do. Tired of being discriminated against and looked down upon for "taking" American jobs, the United Farm Workers, a union based in California and located in nine other states, made up of US citizens, as well as documented and undocumented workers came up with the idea to give any US citizen the opportunity to become a farm worker. They launched the website takeourjobs.org and to this day have received more than three million hits, about 8,600 interested U.S. citizens, but only seven continue to work in the field at this time. The results of the UFW experiment are far from surprising because labor on U.S. farms in picking fruits and vegetables is some of the most challenging work in the world today. I saw the struggles and hardships of farm workers personally when I attended the Center for Social Concern's Migrant Worker Seminar in Immokalee, Fla., last spring. What I witnessed in Immokalee has left a deep impression on my view of immigrants and migrant workers in the United States. In Immokalee, workers started their day before sunrise at 4:00 or 4:30 a.m. to head to the pick-up area. There they would line up and farm employees would survey them one by one allowing them on the buses. Even though workers scrape by without the ability to save money, the workers do not even have the right to knowing if they will get work every day. Tomato pickers in Immokalee work about 10 hours a day, seven days a week, in scorching heat, usually close to 100 degrees, with their backs bent over loading 32-pound buckets of tomatoes worth 50 cents a bucket. For a tomato picker in Florida to make minimum wage he or she would have to pick 2.25 tons of tomatoes, or 4,500 pounds, in one day. Today, laws protecting farm workers vary severely between the states, with Florida being one of the worst, because the federal government has been absent since the 1930s when Southern Democrats worked hard to keep labor protections from applying to the heavily African-American farm worker population. Not only are workers abused in the fields, but also they find themselves victimized in housing and services as well. Without adequate legal protection, workers are exploited in every aspect of their lives by relentless market forces. Because migrant workers move with the growing seasons and are usually undocumented, they are often prohibited from renting traditional apartments. This means they are forced to pay exorbitant above market rates for short-term leases on unkempt and broken down apartments or houses. The same goes for when they use services to send money home to their families in Latin America. The catastrophic results of a lack of rights extend beyond unjust working and living conditions, and the inability to save money or get consistent work for economic security. Human slavery is a reality in the lives of migrant workers in the United States. Since 1997, seven slavery cases have been successfully prosecuted by the U.S. government in the state of Florida. More than 1,000 migrant workers have been freed from forced work operations as a result of these trials. To this day I am unable to forget reading the advisories posted around the homeless shelter where the ND group stayed in Immokalee that listed the warning signs that someone a worker knew might be enslaved and what could be done about it. That these injustices are happening just 30 miles from one of the wealthiest cities in Florida, Naples, and that these working conditions supply grocery stores and restaurants in South Bend and the majority of the east coast with tomatoes and other crops is a stain on the integrity of the United States that must be removed. The solution to this problem should come from two angles, empowering consumers with a choice to buy ethically grown and picked food and extending basic rights to farm workers in the United States. Growers could be ethically certified, much like they can be certified organic today. Also, it is the responsibility of Federal legislators to break the status quo of workers having rights only in a select group of states. The right to work legally by increasing the amount of temporary worker visas to meet demand for labor, minimum wage law, safe working conditions, minimum hours of work per day, and the right to organize must be extended to farm workers in every state. Take a moment today to think about where your food came from, and commit to working towards a future when consumers know if they are eating ethically produced food, and farm workers, the backbone of the U.S. agricultural industry, are protected from exploitation by law in all 50 states.